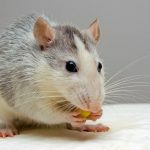 Home » Rodents » 9 Best Hamster Cages Reviews 2019 | For Your Furry Friend! One of the most exciting things that come with caring for some hamsters is the mandatory supply shopping. No one can deny that the products made for these creatures are just too adorable for words. Even the best hamster cage can be utterly cute and entertaining as they come in different designs and accessories. Being small, however, it’s very easy to make mistakes when it comes to shopping for hamster housing. There are so many features that you can go wrong with making it necessary to arm yourself with the right knowledge before you start looking at products. 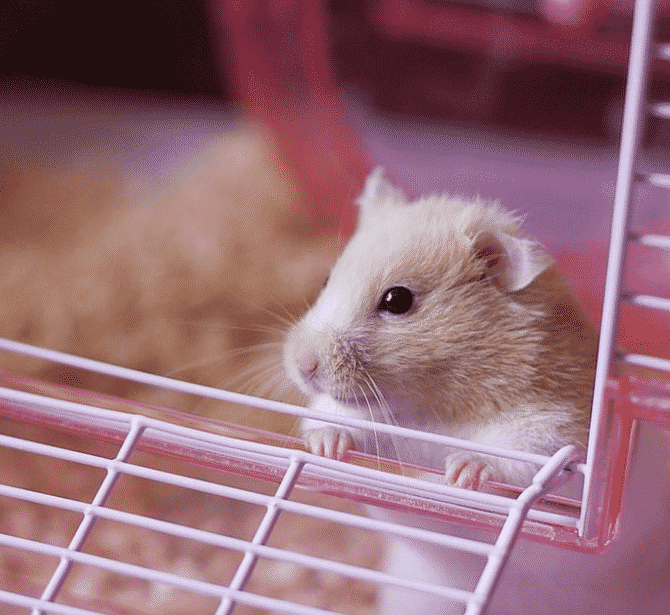 So to ensure that you’ll be able to provide a comfortable dwelling for your new pet, we’ll give you a quick lowdown on what you should know about top cages for hamsters today. 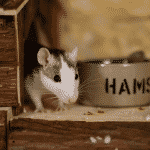 Hamsters designate specific spots for different activities. They have a spot for storing food, doing their dirty business, and sleeping among other things. They’re very particular about having separate areas for different things, so you have to be well aware of such a behavior. They can get cage aggressive easily if they don’t have plenty of space. These creatures are territorial, so they will want to make sure that their spot is only theirs. They need a good amount of exercise. Hamsters like to move around their burrow in their natural habitat so inactivity will be detrimental to their health. According to the Humane Society, the minimum size for a hamster cage should be at least 24 inches long and 12 inches wide. This is not much compared to a cage for rabbits, which must have at least 8 square feet of enclosed space. This will provide ample space for your critter to roam around and do his business without feeling cramped. It’s also best to opt for a long cage instead of a tall one, especially if the breed of your pet isn’t known for being a big climber. Being underground creatures, hamsters can’t really handle extreme temperatures so you have to make sure to moderate the temperature your hamster gets exposed to. The ideal temperature for them is 65 to 75F, so you have to take measures to keep the room temperature around this range. To do this, the choice of cage design can help you out. Consider the climate that you’re in and choose appropriately. If you live somewhere warm, wire cages offer the best air circulation that will keep your pet cool. If you’re somewhere cold, an aquarium can be a good option to keep your pet warm. Hamsters are also very curious creatures and they love to roam, so they might feel tempted to break out of their cage if the lid is not secure. This can lead to a lot of problems, especially if you’re not home to find your pet right away. Make sure that the top cover is easy to lock securely. All of the joining parts should also snap in place together securely. You should also do away with cages equipped with doors with flimsy latches as hamsters can be quite good at picking locks. If you’re opting for wire cages, the gaps shouldn’t be bigger than ½ inch so they won’t be able to squeeze in and trap their limbs and they shouldn’t be horizontal to prevent climbing. If you plan to create a multi-level unit, you should also make sure that the heights won’t be too high or at least your pet won’t fall off, so your pet won’t get seriously injured. Your hamster’s chewing habit. Your pet will chew at the things inside his cage or even at his actual housing, so make sure that they’re durable and won’t be easily torn from the structure so they won’t enter your pet’s digestive system. Wheels and tubes. These are essential exercise equipment for your pet, so they’re absolute musts. Ventilation. Your pet can’t handle extreme temperatures so you have to make sure that they’re not too hot or too cold at any given time. Ease of maintenance. Your hamster will do everything inside her cage so you will want a unit that’s easy to clean. Hamster Cage Reviews: What are the Best Hamster Cages Today? Designed specifically for small creatures like hamsters, hedgehogs, chinchillas, and even rabbits, the Living World Deluxe Habitat has been receiving some nearly perfect reviews as of late for its great design that is specially crafted for these animals’ needs. Made of plastic and steel, it offers a solid base and well-ventilated walls and roofing, it guarantees your pet’s comfort. While it does have horizontal grills and gaps more than ½ inches, it is still deemed as a good option for hamsters because the solid plastic base is tall enough to prevent a small rodent from grabbing onto the low bars. This will prevent them from climbing, ensuring that they won’t get hurt because of their playfulness. Another thing that pet parents will love about its plastic base is the comfort it can offer. A lot of wire cages have wire bottoms as well and it can be uncomfortable for hamsters. The plastic base offers a smooth and even flooring, so your pet won’t have to keep stepping on bumps as they move around their cage. This unit also comes with a hideaway at one side, providing a private space for your critter. It’s a very convenient addition as hamsters need a spot where they can hide away should she feel the need to do so. This chamber also doubles as a climbing ramp, providing a space for exercising for your pet. It’s also worth noting that this unit has three openings. It has a front door where you can access your pet at the bottom very easily. The roofing can open halfway or fully as well so you have lots of options how you can play with your pet. Another convenient hamster housing product is the Ferplast Hamster Cage. Like the Living World product above, it’s also comprised of wire and plastic components but with separately sold additions so it might just be a more exciting option for your pet’s habitat. So aside from being a traditional cage, it has a fun extension that your pet will enjoy spending time in. With its design, you can pretty much consider this as one of the more complex housings that you can find for your hamster. It combines the comfort of a wire cage and a habitat, ensuring that your pet will get the best of both worlds. So if you’re torn between getting a classic cage or a habitat, this one might just do the trick. One of the best things about this unit is that you can actually moderate your pet’s time with its help. The tubes are easy to remove and attach, thanks to its modular design, so you can just restrict your pet’s access to the tubes if they’ve already spent so much time on it for the day or if it’s too hot out to allow them to play somewhere with limited ventilation. If you’re not ready to spring for the whole system just yet, the cage alone might already do the trick for your pet. You can set it up to be a single layer or multi-layered, depending on what your pet will prefer, so it’s also very versatile and functional. If you want more surface area for your pet, all you need to do is put in a thin layer of bedding in the plastic base and set up the climbing ramp to provide easy access to the second wire-cage layer. This will also let you place the wheel in between the two layers where an opening is located. If you want a single layer cage, you just need to fill the plastic base with sawdust and other beddings and you’re good to go. A lot of experienced hamster owners tend to shy away from habitats because of the lack of ventilation most of them has. Units with long tubes tend to get hot quite easily as they don’t have much wiggle room and enough holes for the air to pass through. So if you’re a bit wary of these options, it’s a very valid concern, but not one without a solution. Lixit Animal Care’s Savic Hamster Heaven Metro Cage is a good option for those who want to provide a good dose of physical activity and challenge to their hamsters without the risk of overheating. This multi-layered cage is designed with ramps, a wheel, a tube, and a slide inside a wire cage so it can let your pet roam around without you worrying about them getting too hot. Made with a solid plastic base and a wire upper, this unit also offers comfort and a nice living space for your hamster. It’s even considered as one of the best cages for Syrian hamsters as it offers ample room for such large hamsters to comfortably squeeze into. The only downside about this product is the assembly. With so many parts, it takes a while to put everything together and in place. You’ll also want to make sure to put them in the right way so your pet won’t get injured in any way. Want a cage that will not only work well for your tiny pet but will also add a splash of color to your interiors? Then look no further as the Kaytee Super Pet Crittertrail might just be the very product you’re looking for. This product comes in an eye-catching shade of pink that’s easy to fall in love with. This single layer habitat may be small, but it can actually already be a comfortable option for your tiny critter. As it comes with a nicely designed wheel, it can already provide a great workout for your fur baby. However, it should be noted that the small size is actually because it’s meant to be expanded. It has an opening where you can attach the tube that you can also attach to more cages, so your hamster will have more places to move around in. Made with a clear pink plastic base and roofing with a metal grill for its walls, this product also guarantees ample ventilation and visibility for your pet. The color is definitely quirky and will attract pet owners who’d love to provide a gender-appropriate housing for their female hamster. It might even be a great choice for a young hamster parent who loves pink. With its affordable price and modular design, you’ll surely feel compelled to expand this habitat into a more complex structure. However, as additional tube packs are not available in pink-only varieties, you might have to settle with buying them per piece or other colors to build a large habitat for your critter. When it comes to critter habitats, Habitrail is definitely one of the most popular brands to check out as they offer some of the coolest-looking items in the market. Each piece is definitely unique and gorgeous that it won’t just offer a great place for your pet to live in, but it can also spruce up your home. Habitrail’s OVO Dwarf Hamster Habitat is a fun option for dwarf hamsters. It’s actually fashioned after burrows, so you can be guaranteed that it’s perfectly good for a hamster. It’s multi-leveled with a large base where the food, bed, and wheel is located, two climbing tubes, a detachable carrying den on top, another smaller den on one side, and a water drinking tube on another. But because the entire thing is modular, you can actually configure it in a few different ways, just make sure that it will be balanced and stable, to prevent toppling and hurting your pet. Also, as this product is modular, expanding it is pretty easy. As it is pretty small even for a dwarf hamster’s standards, it will need a few more additions to provide enough roaming space for your dwarf. The additional parts are quite affordable, though, so you shouldn’t have to worry about spending extra to get them. Another qualm about habitats is the lack of ventilation. It shouldn’t be a problem with the Habitrail OVO, however, as each part has ample holes to let the air in. With a great design, quality materials, and affordable price, the Habitrail OVO might just be the best hamster habitat for your critter. Sometimes a bare unit can prove to be the best cage for large Syrian hamster as they can offer great versatility. A bare cage will give you the freedom to equip it piece by piece, letting you have full control over what goes into your pet’s home. This will give you full reign on picking out only the best-rated items for your beloved hamster. If this is exactly what you want to do, Ware Manufacturing’s Home Sweet Home Pet Cage for Small Animals is an option you should consider. This product only offers the actual cage unit, you will need to purchase your pet’s other essentials separately. With such freedom, you can actually tailor fit each piece that goes into the cage to suit your pet’s needs. You can keep it as minimal as you’ll want but you can also go all out and fill it with lots of great accessories. Available in three different sizes, this unit is very spacious. However, it’s ideal for larger hamsters like Syrians as the gaps in between the metal grills are pretty big. Dwarf hamsters will surely find a way to squeeze in between them, which is something you should absolutely avoid. With a solid plastic base, your pet’s comfort will also be guaranteed. You won’t have to worry about their paws having to stand and balance on uneven grills as this product has a platform base. Quality, roomy, and designed to provide the freedom you want in creating a home for your pet, this is easily a solid option for great Syrian hamster cages. Another all-inclusive rodent cage that you can opt for if you want a complex habitat for your pet is Kaytee CritterTrail 2-Level Habitat. Like the other CritterTrail item in this list, this unit is also packed with structures to encourage physical activities and exploration for your pet, making it a convenient option for folks who like to simplify their supply shopping chores. Equipped with two loft platforms, three tubes, a wheel, food dish, water dispenser, and a removable petting zone on top of the cage, this unit has pretty much everything your pet needs to be happy and healthy. It can also be expanded as it has three spots where you can insert more tubes. Two of which are located at the top of the roof and one at the lower left end that can also serve as a mini-den. You can connect it with more Kaytee CritterTrail units or just add more tubes that go around the unit to provide more floor space for your pet to explore. Made from durable plastic for the roofing and base with metal grills for its walls, this critter habitat guarantees your pet’s comfort. Other parts are mostly made with high-quality plastic as well so your pet won’t be able to bite them off and digest chunks that won’t be processed by their stomachs. It’s also well-ventilated and is very easy to clean. Another all-inclusive Habitrail option is the Cristal Hamster Habitat. This product is one of the best dwarf hamster cages today as it already offers ample space for a small critter but you can still expand it to a more complex habitat with a few additional purchases. What makes the Habitrail Cristal habitat a great pick is its clean design. It’s base and sides are made of clear plastic with metal grill panels to ensure ample ventilation and visibility. To make it more attractive, its accessories are in clear orange, providing a nice color scheme that looks really adorable. It’s also fully equipped with everything your hamster will need. It comes with a good-sized wheel, a loft den with a climbing ramp, a water bottle, and a food dish. It also has an opening to the side where additional tubes or dens can be attached when you already want to expand the unit into a more complex habitat. With two doors - one in front and one at the back - you can also easily access your pet. If you’re a hamster owner who’s not too fond of tubes and tunnels but still want to provide ample floor space for your pet to roam around, this Lixit Animal Care item is an option that’s worth a shot. Dubbed by some folks as the top large hamster cage, it might offer a happy middle ground for those who want something that’s not too complicated but still spacious and challenging for their critter. What makes this product one of the good hamster cages is its simple design. While it’s just a plastic and wire cage without lots of fancy platforms and tubes, it’s considered to be a humane option for a housing. Its large size will provide enough room even for Syrian hamsters to roam around. The metal grill loft is also a great addition as it significantly increases the floor space inside the cage. As it covers up to nearly half of the total space of the cage, it can already offer more room for your pet to do her business in. The space underneath can be used as a toilet or storing food while the loft can be a good place for meals and hanging out. It also has a private plastic den which is great for hiding away in. This unit also comes with a large wheel to accommodate larger critters and a tunnel tube for your pet to play in. A lot of hamster owners might also like the handles located on top of the unit. This will make the unit easier to dismantle for cleanups and or move around. Just make sure to always tightly snap the plastic and wire parts together so your pet won’t fall to the ground when you try to carry the unit by the handles.